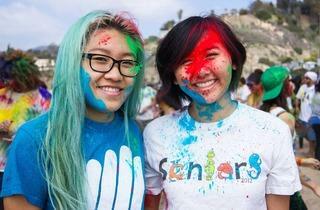 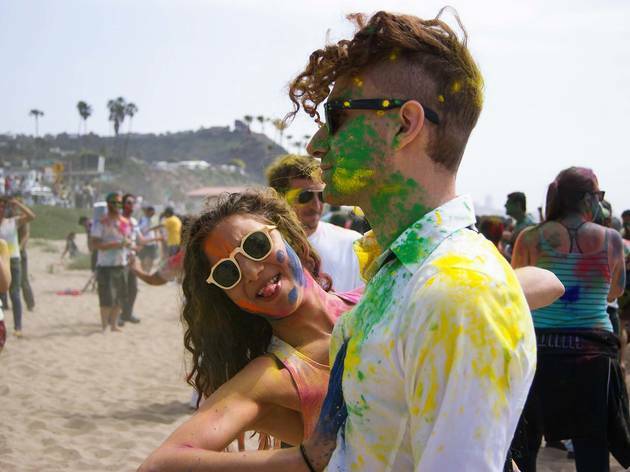 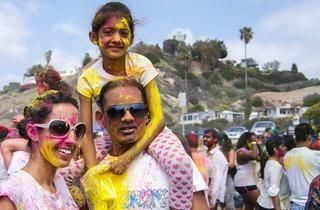 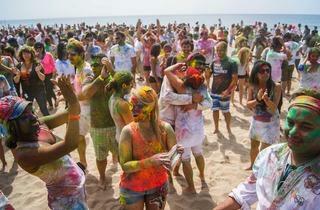 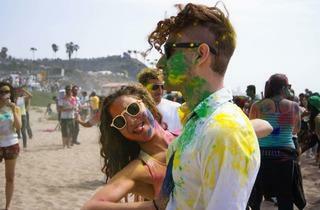 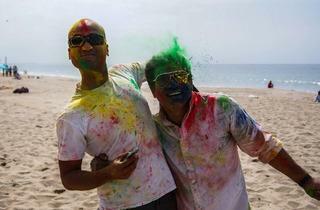 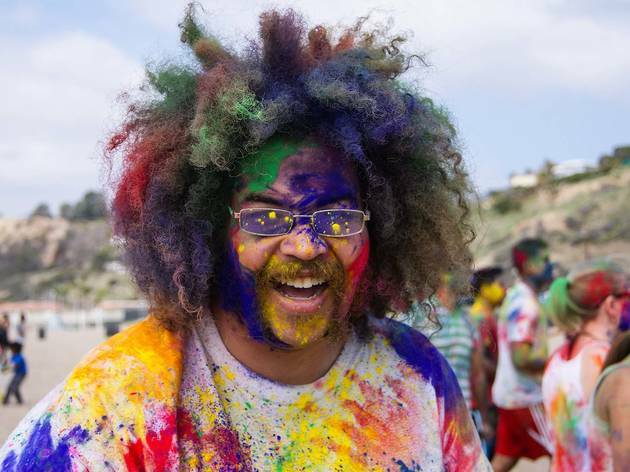 We color-bombed our way through the surf and sand at this technicolor Indian party. 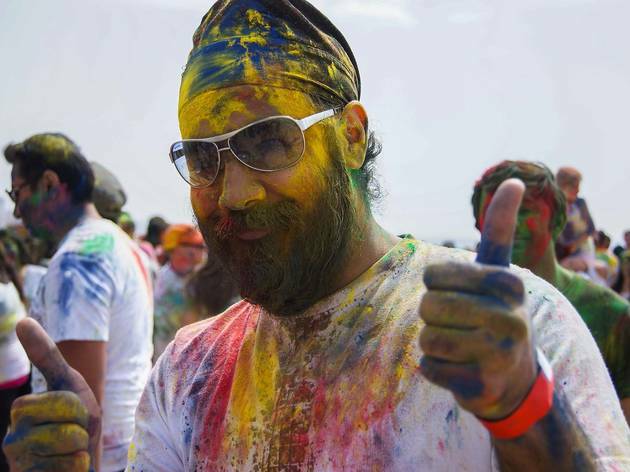 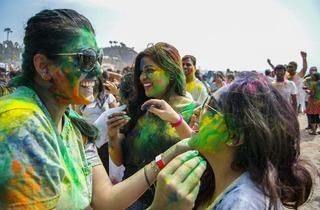 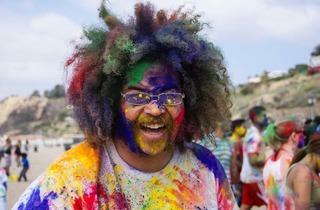 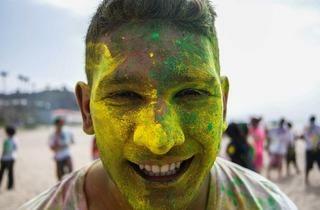 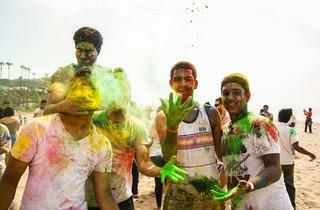 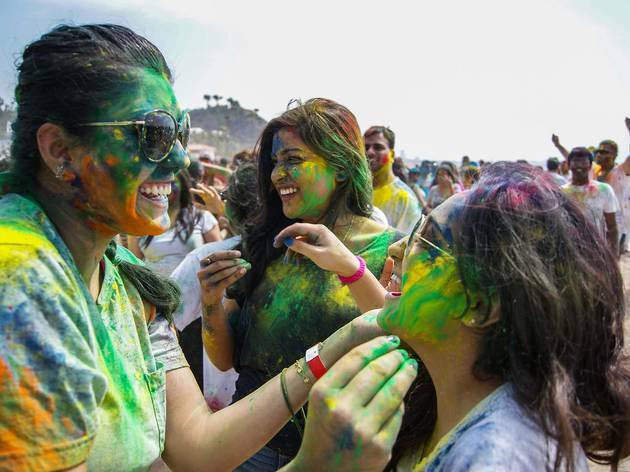 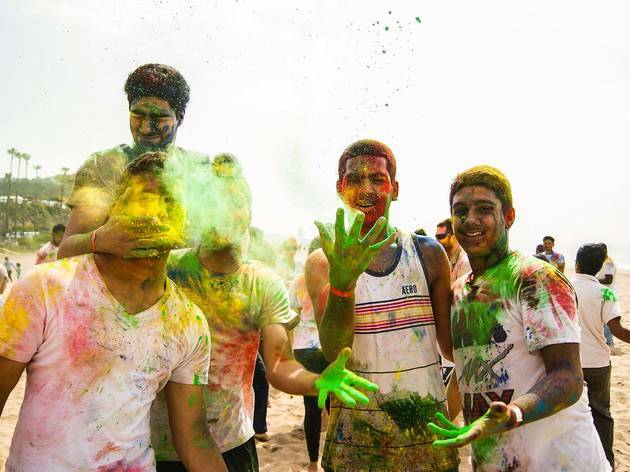 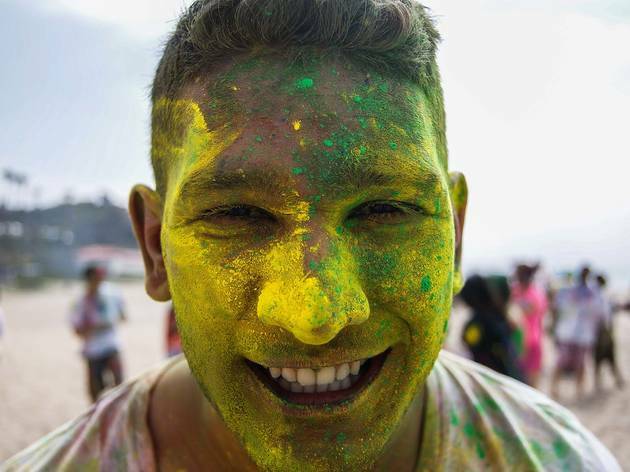 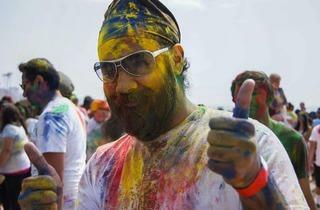 It’s not everyday that you can color-bomb your friends with a handful of gulal powder. 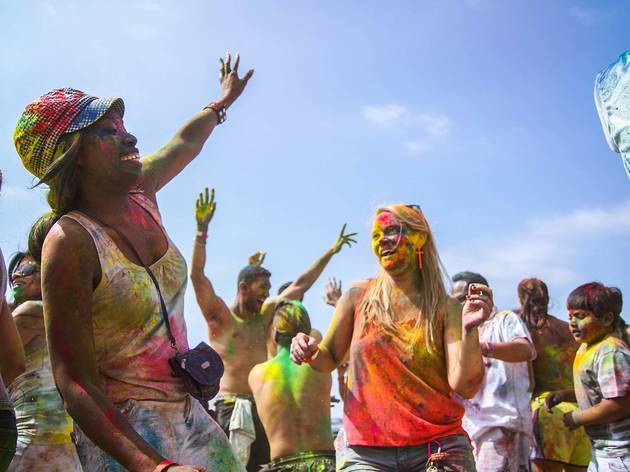 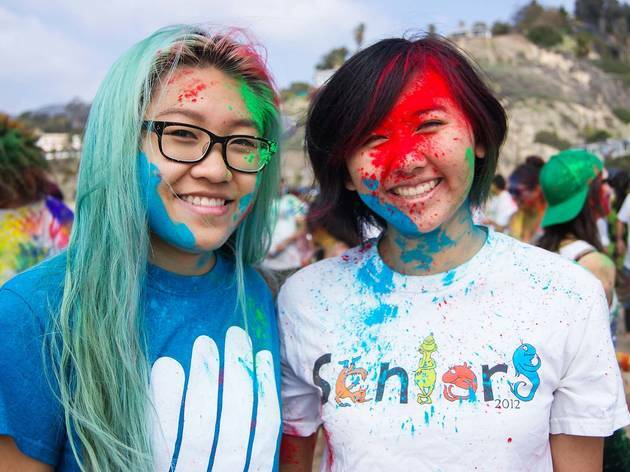 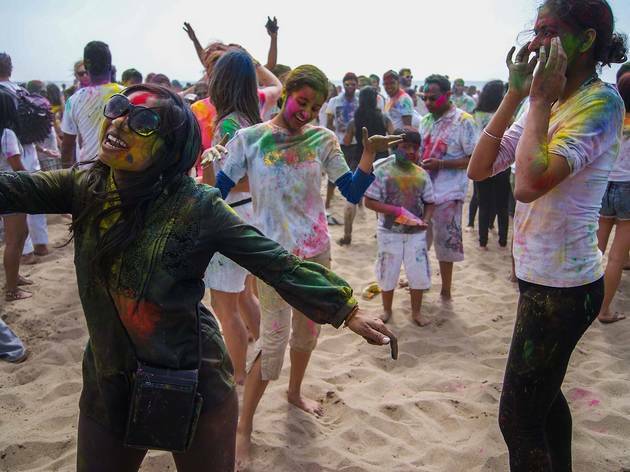 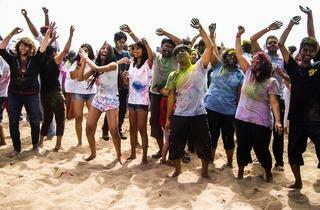 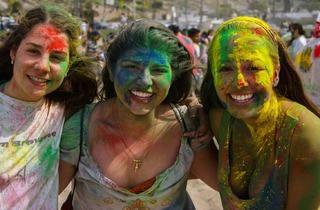 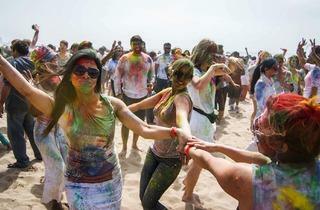 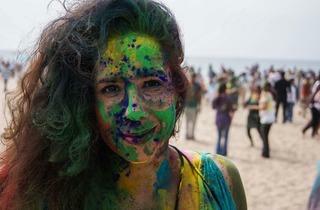 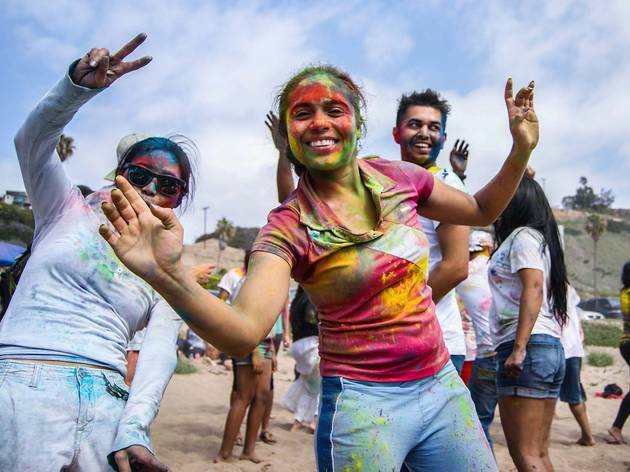 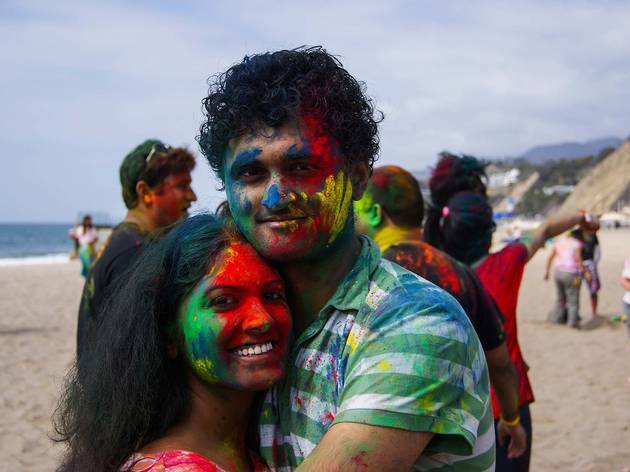 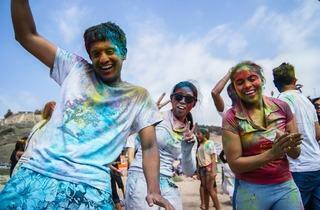 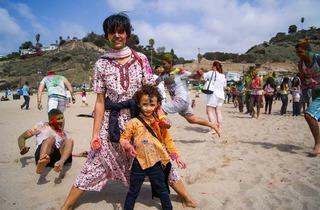 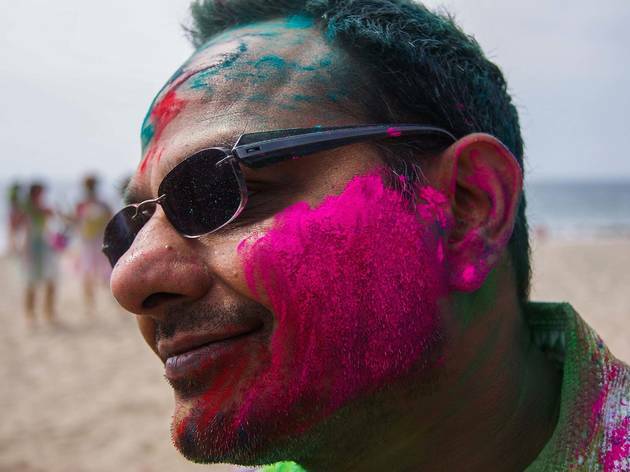 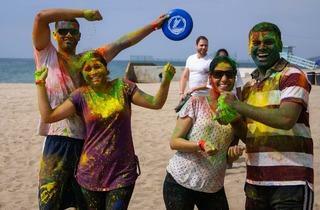 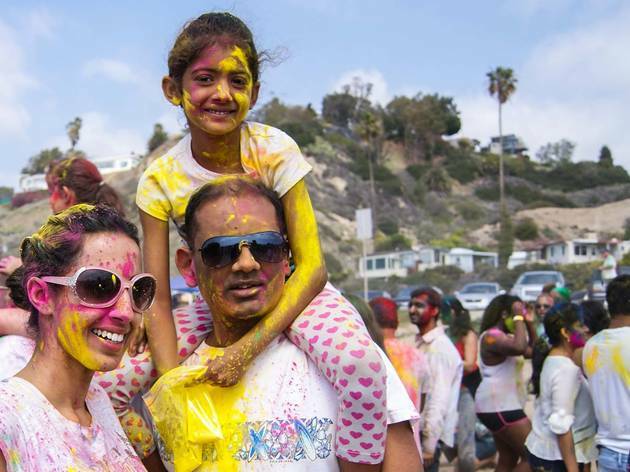 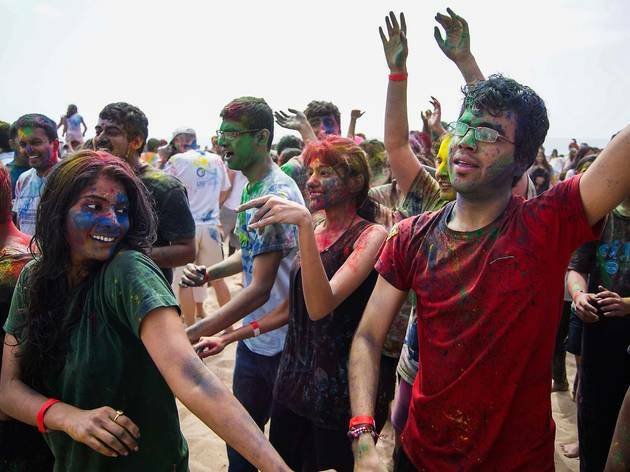 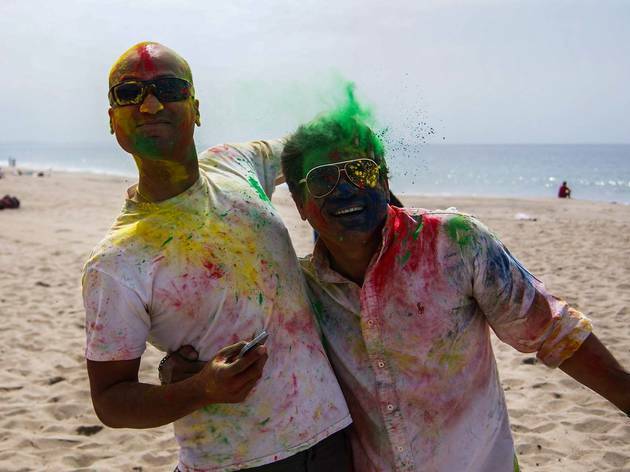 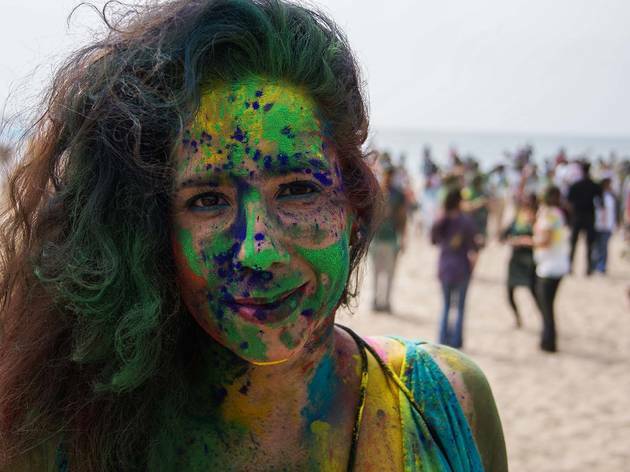 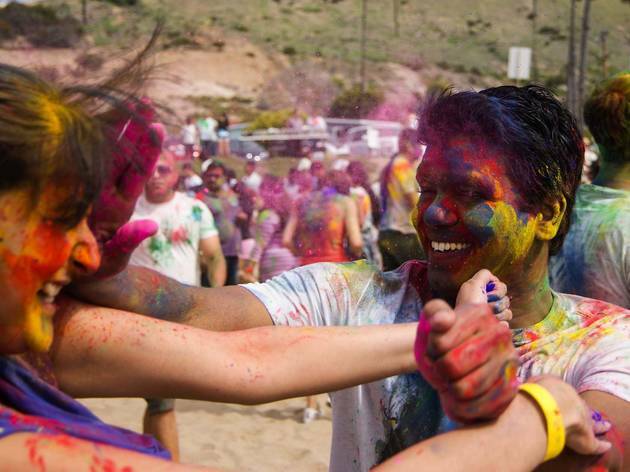 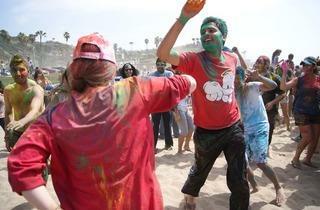 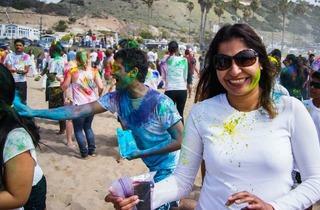 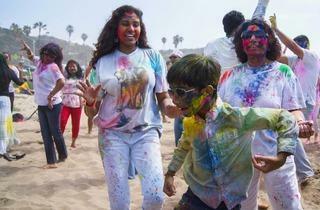 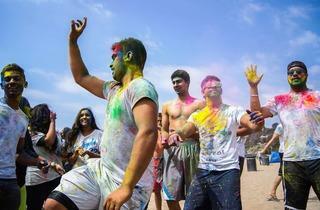 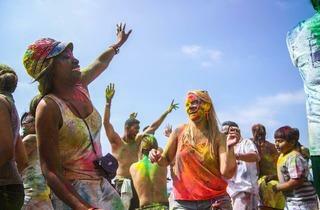 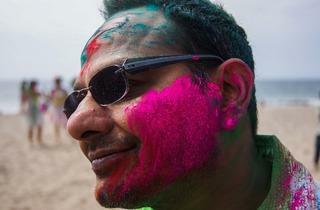 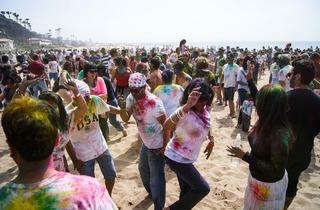 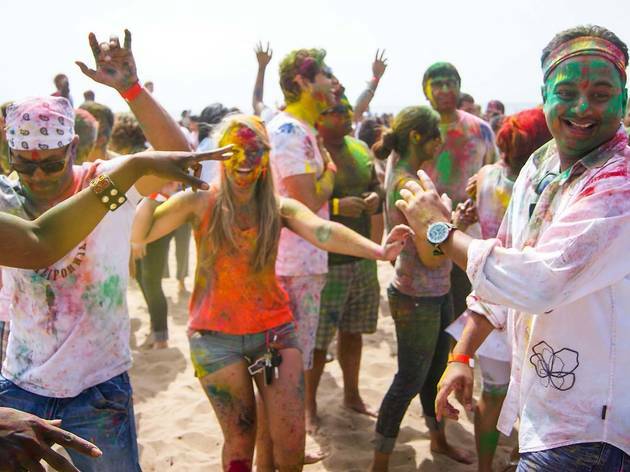 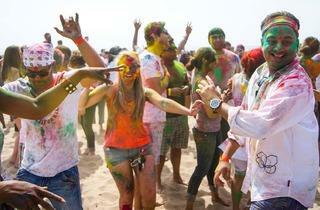 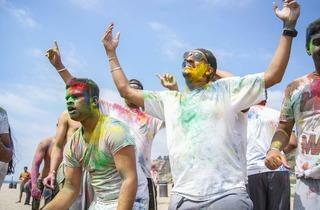 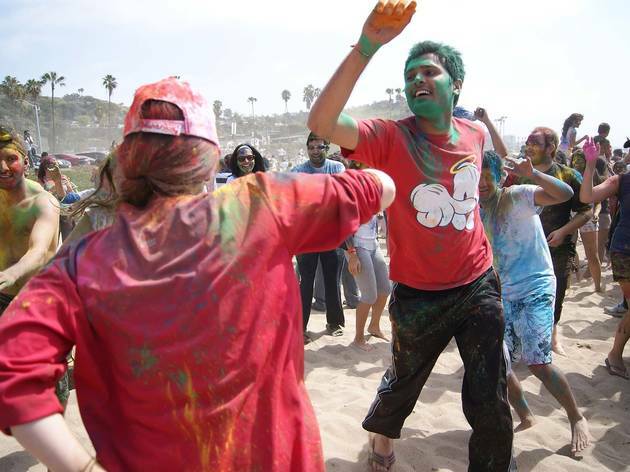 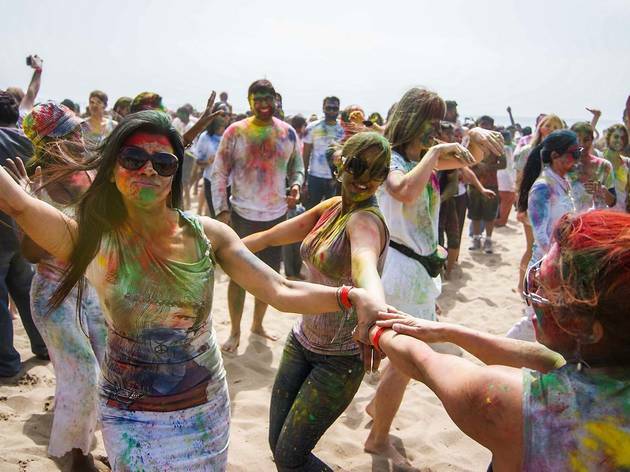 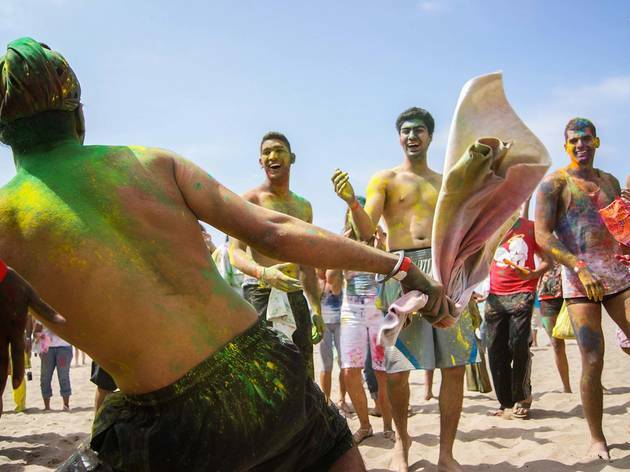 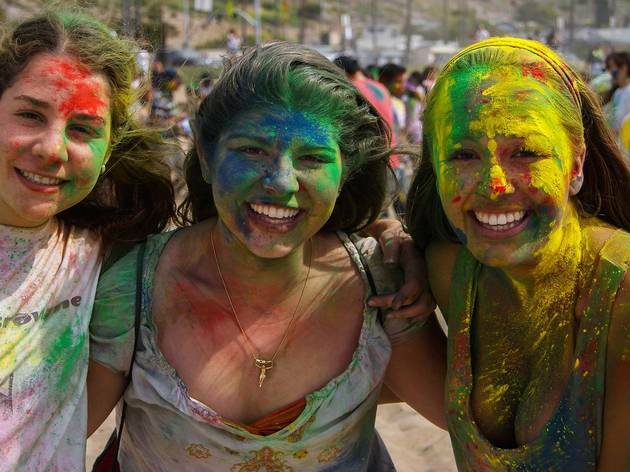 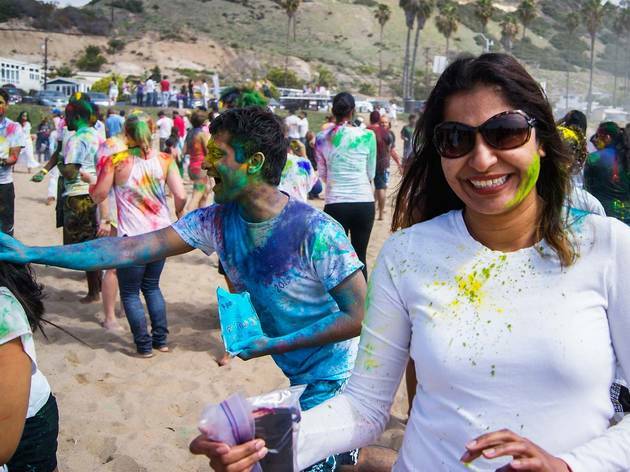 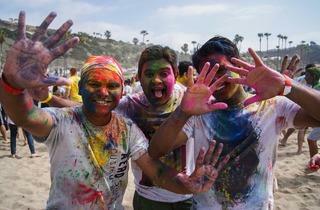 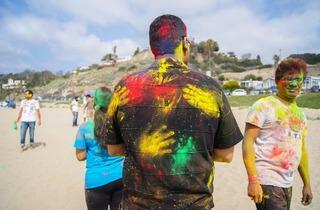 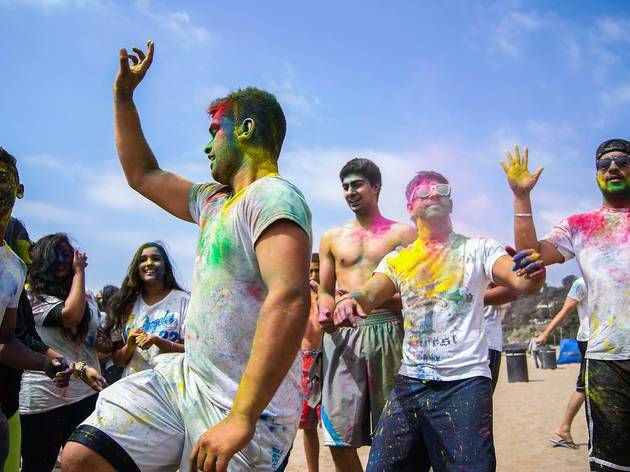 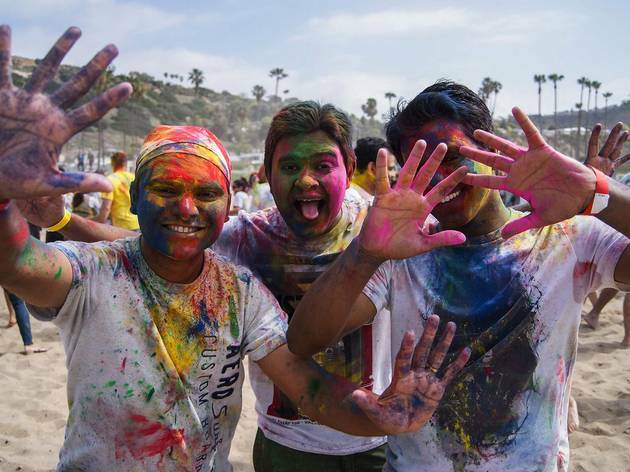 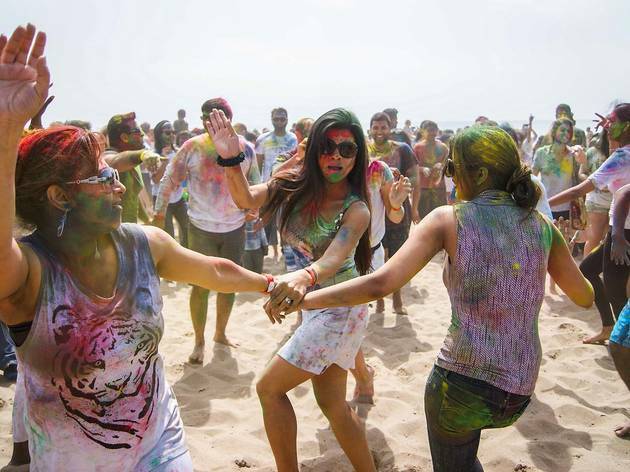 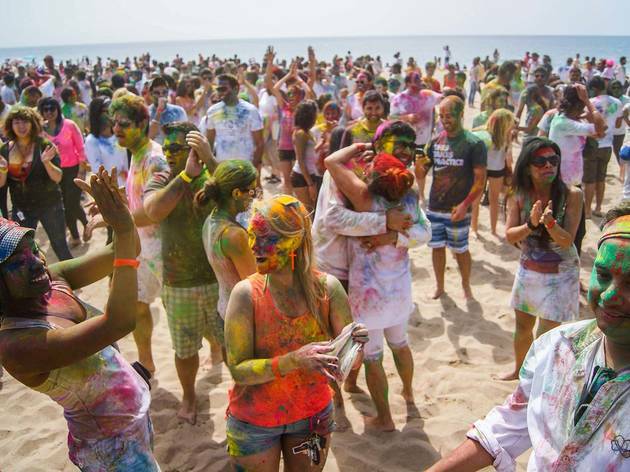 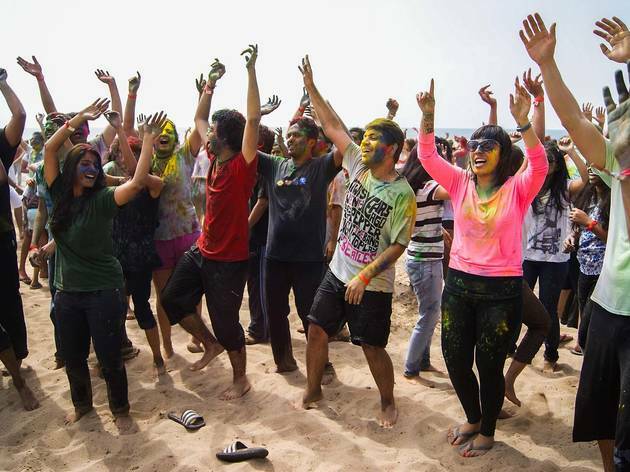 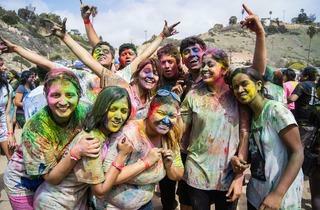 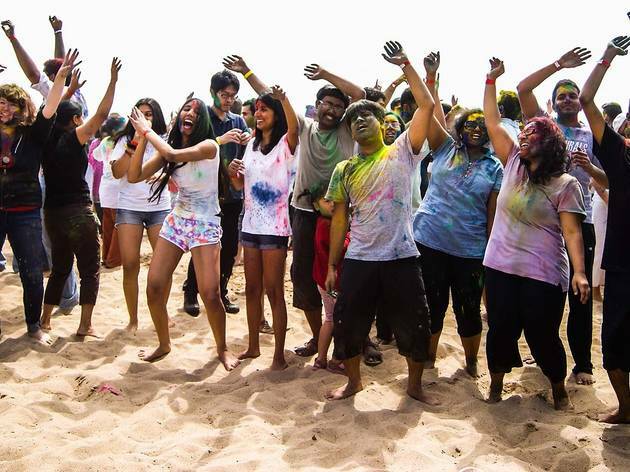 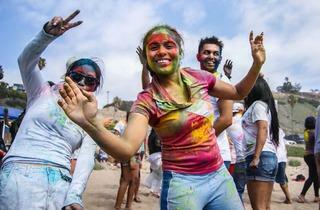 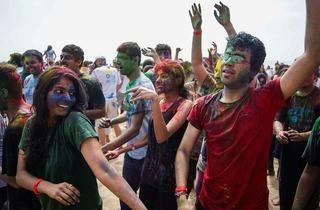 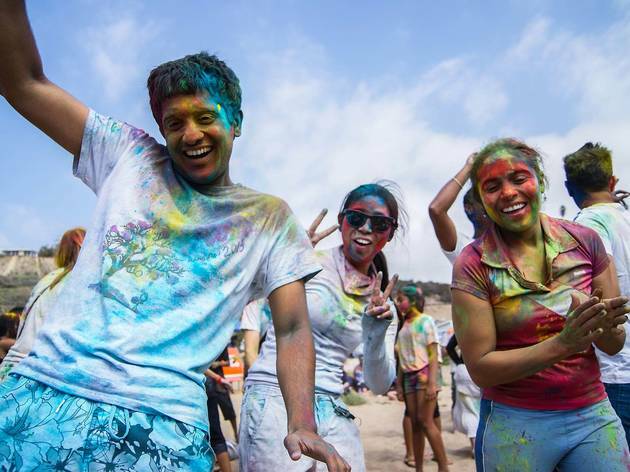 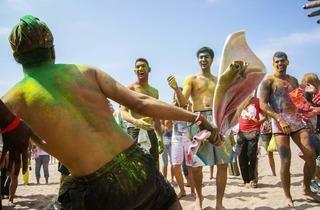 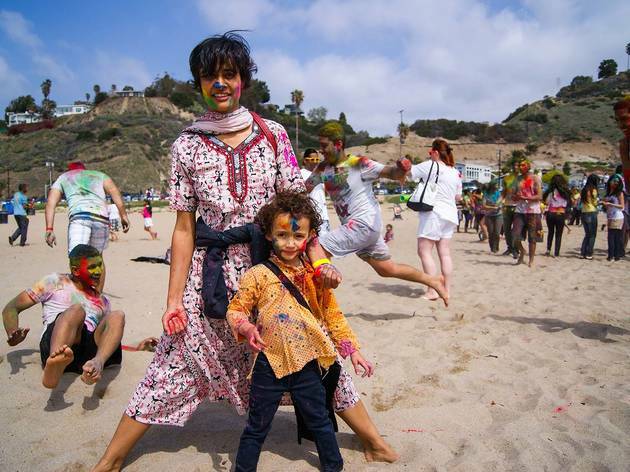 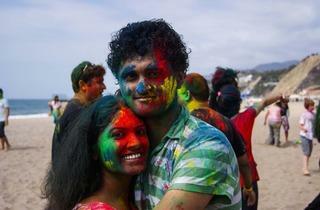 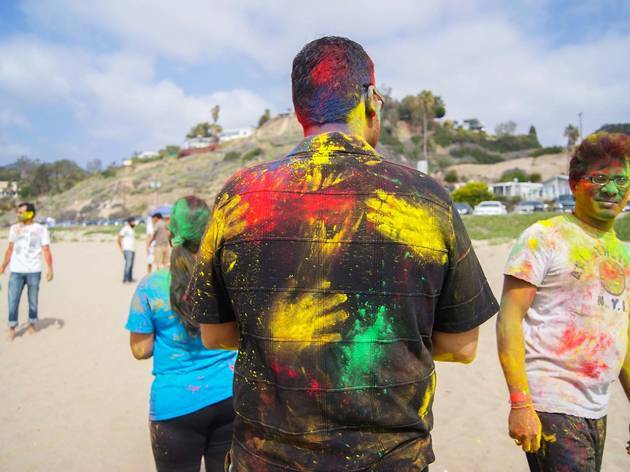 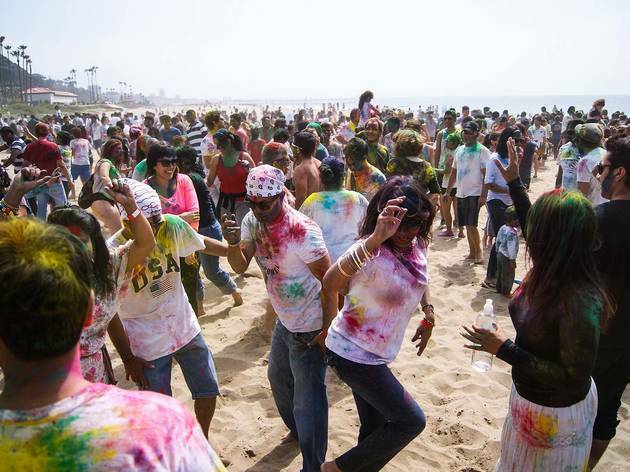 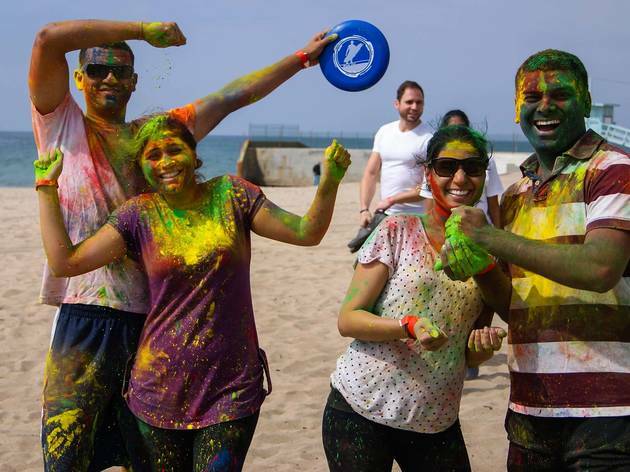 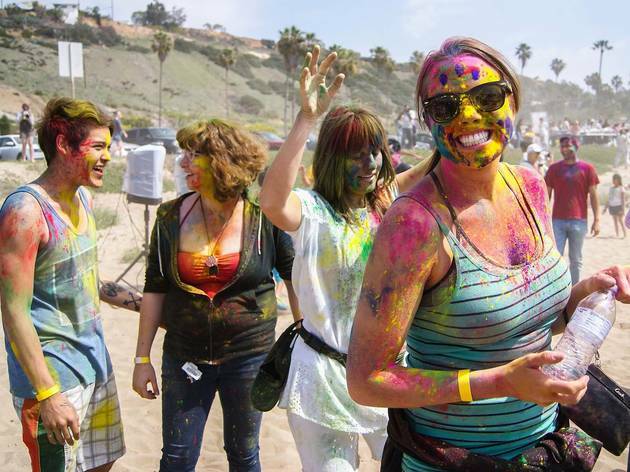 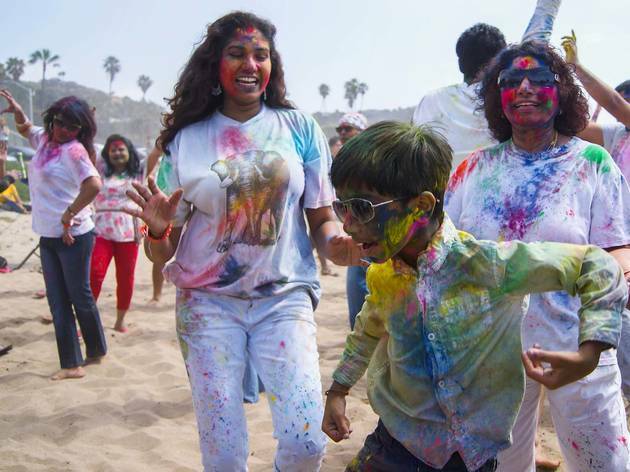 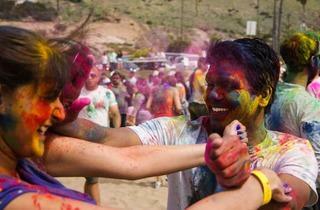 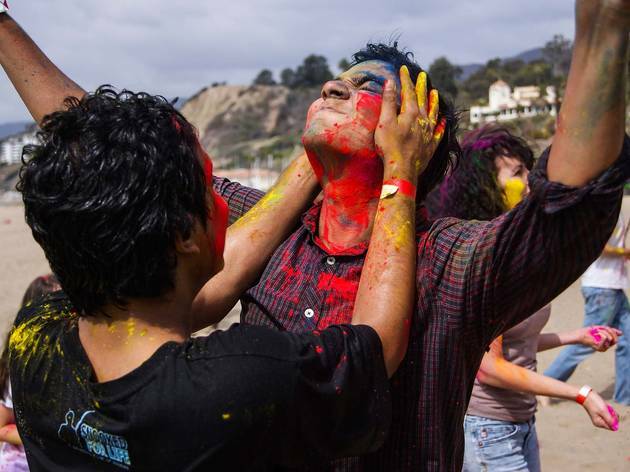 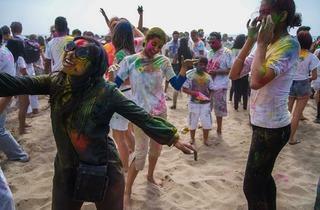 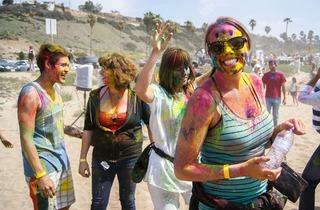 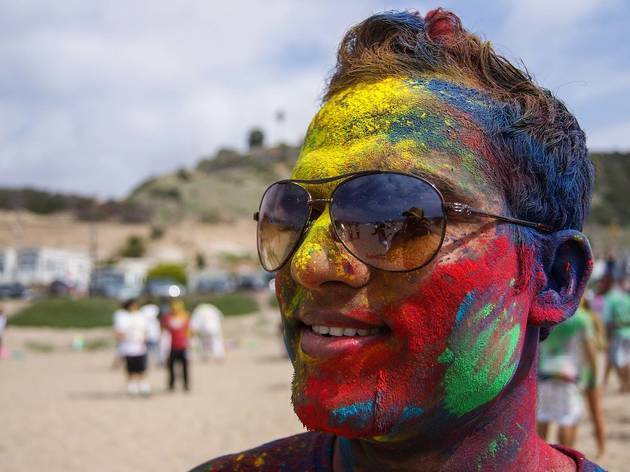 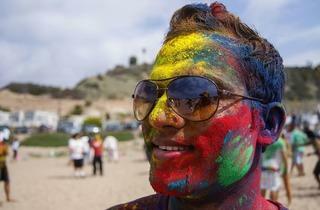 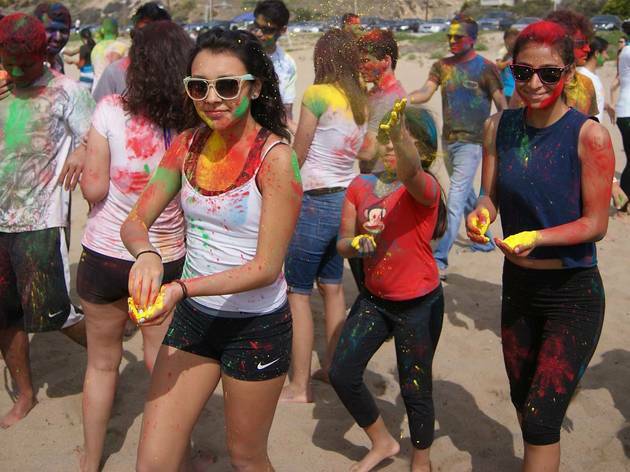 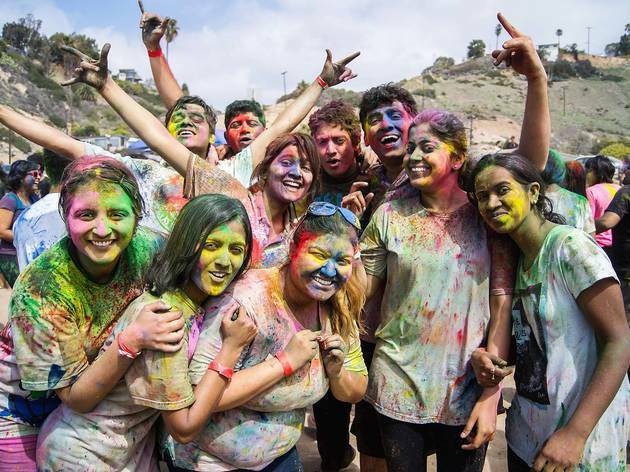 We took to the sand at Will Rogers Beach to celebrate Holi, the exuberant Indian springtime festival. 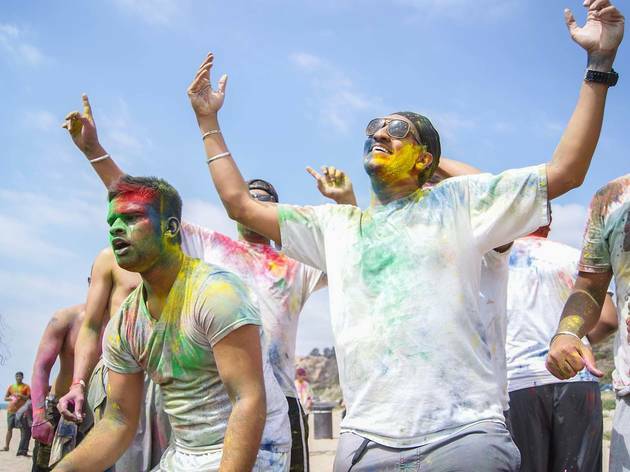 Click through our slide show see what happens when you combine an afternoon of Bollywood and Bhangra music with a whole lot of technicolor powder (hint: it looks something like a unicorn stampede).